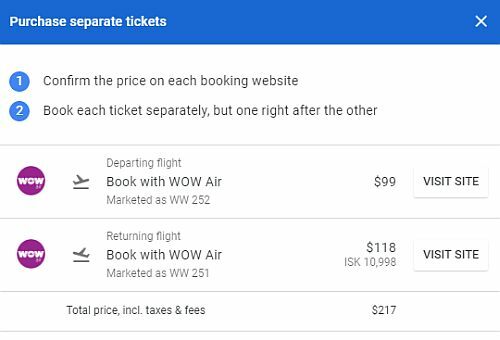 WOW Air has dropped the price of their flights from Montreal to Reykjavik, Iceland down to between $208 (personal item only) and $334 CAD (checked bag) roundtrip including taxes. 1 small personal item, weighing up to 10kg, and a maximum size of 42x32x25cm is included with WOW Air's cheapest prices. WOW Air was recently in talks to be purchased by Icelandair, but that has fallen through. At the moment, the future for WOW Air is uncertain. NOTE: To get this price, you need to book 2 separate one way trips. 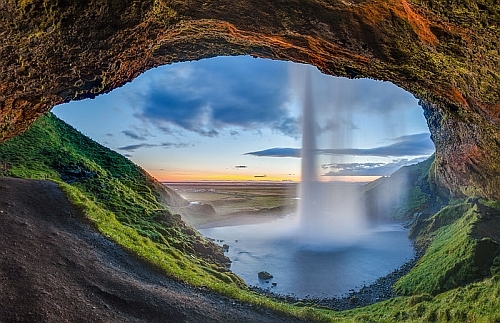 The flight from Montreal to Reykjavik will be $99 CAD. The flight from Reykjavik to Montreal will be around 9,998 ISK (Icelandic krona), which works out to $109 CAD after conversion. Google Flights will provide the links for each of the one way trips. montreal, yul, europe, western europe, flight deals, scandinavia, reykjavik, iceland, kef and icelandair.